There is nothing more important than getting a good night’s rest. It sets you up for success for the rest of your day. This is especially true for children since they need the proper amount of sleep each night so that their bodies can develop properly. To help ensure that your kiddos get enough sleep, you absolutely need to get the best mattress for kids available. That way, their body will have enough energy so that their growing muscles and bones can develop properly. Just as you would expect with any type of product that is for your children, not each and every mattress is created equal. There are several key factors that you need to keep in mind when you are looking for a high-quality mattress. You need to think through the size, thickness, firmness levels, and the materials used in production. This is especially important if your child has allergies. You’ll also want to look for a quality cover with easy to wash features. Finally, you should also look for a mattress that has a good warranty, so that you are covered in case your child makes a mess of it. In order to compile our list of the best mattresses for kids available on the market, we spent tens of hours reading through hundreds of user reviews as well as the specifications on the manufacturers’ official websites. It also allowed us to complete detailed reviews of each mattress so you can select the model that is right for your kid. Of course, if you aren’t completely sure of what to look for in a mattress for your little one yet, please take the time to read through our comprehensive buying guide. If you are in the market for the very best mattress for kids, then this is a great model to start with. It is a hybrid mattress, which means that it gives you the support of a foam mattress combined with the durability of an innerspring model. It has 480 individual coils throughout its design, which will give your growing child the support they need to get a good night’s sleep. Something else that helps to set this model apart from its competitors is the fact that you can flip the mattress from time to time. While rotating mattresses is always recommended by manufacturers, not many mattresses can be completely flipped over and still used comfortably. This design feature makes this one of the longest lasting mattresses on the market today. Most pediatricians recommend that kids sleep on firm mattresses for a number of reasons, with the number one priority being the proper alignment of the child’s spine. Without this firm support, children might have back issues as they continue through their development. 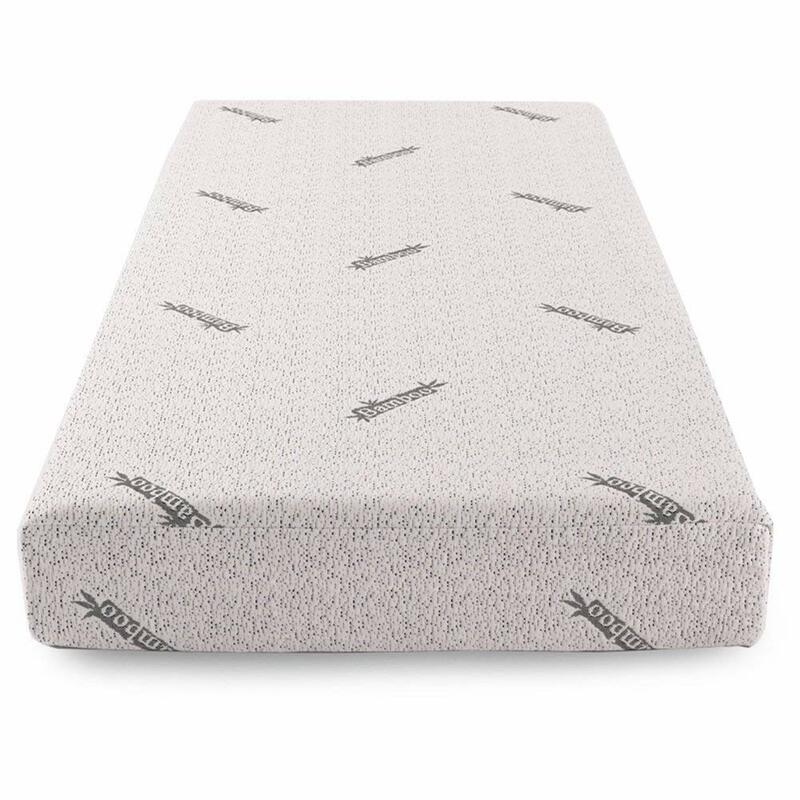 This mattress, thankfully, is extremely firm, which helps it to be both durable and supportive for your little one during the night. Even though this is a fantastic choice to go with, something that you will need to keep in mind is that it has a bit of an odor when you first unpack it. While this certainly will not be detrimental to your child’s health, it could make it tough for them to get to sleep at first. Luckily, all you need to do is allow the mattress to air out for a few days before you use it and the smell will go away on its own. It can be very difficult to travel with children, especially if they are on the younger side. Since you won’t be able to travel with their crib, you need something that is highly portable, yet supportive enough that they can get the proper amount of sleep while you are on the go. If you are in this tricky situation, this bed just might be the answer to what you are looking for. To start with, it is highly portable. Its portability is due to the fact that this bed is inflatable. As such, it can be completely flattened and stored in a carrying bag. While, according to some customers, this carrying bag is not designed all that well, it still will serve its purpose and make this mattress very easy to tote along with you on vacation. As you would expect with an inflatable mattress, this model will need to be inflated each and every night, as it does tend to lose air overnight. 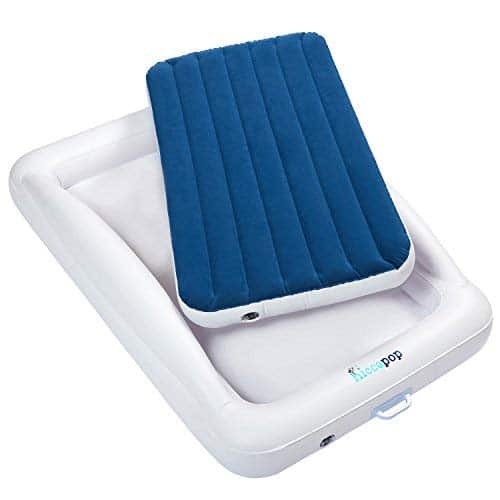 Thankfully, it comes with an electric pump that easily inflates the bed in a matter of minutes. Since this bed is going to be used for smaller children, you will want to make sure that you have the proper amount of support. Luckily, this mattress can be filled so that it feels like a traditional plush, medium, or firm mattress so that you can find the level of support your kid needs to sleep well. This mattress is made out of vinyl, which is extremely easy to clean. It also comes with an additional section with a raised edge. This raised edge helps to keep your child in their bed during the night, making this an excellent option for a very active young sleeper. One of the biggest issues with foam mattresses is that they tend to sleep very warm. This means that no matter when you are sleeping on them, you are sure to get quite hot during the night. This mattress, thankfully, is an exception to this rule. The reason that this mattress is different from other strictly foam mattresses is thanks to its built-in air channel, which not only allows air to flow through the mattress but actually is designed in such a way as to pull heat away from the sleeper. 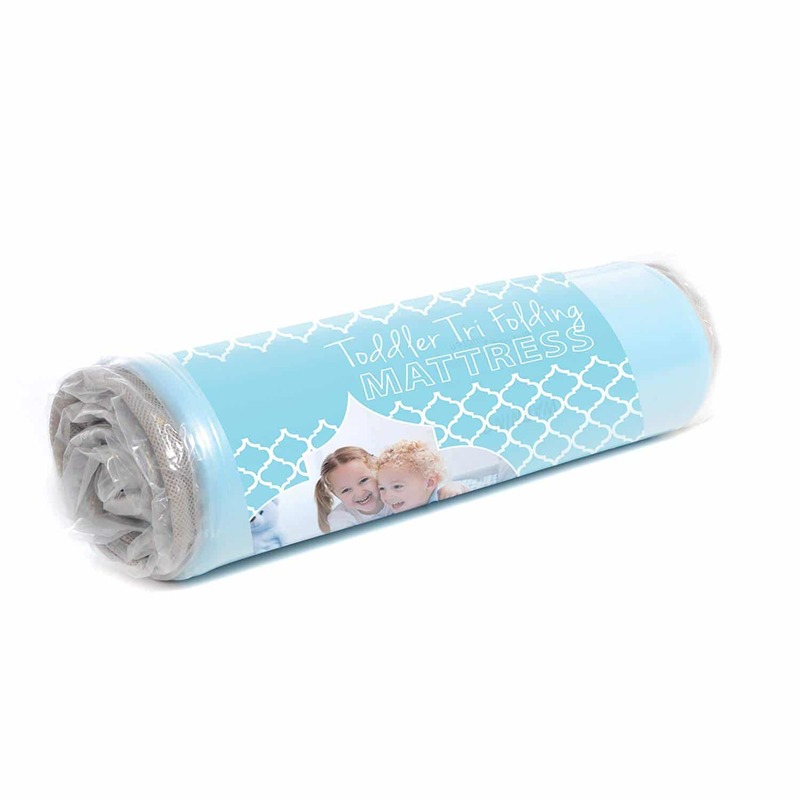 This makes it an excellent choice for kids who sleep warm, or hot climates. As you would expect with any mattress that has memory foam in its construction, this is a very forgiving mattress. It offers plenty of support for a growing child, even though it is not a firm model. It also comes with an extremely long warranty, making it a great option if you are trying to find a mattress to last your child for many years to come. There is one common unfortunate factor when it comes to having a full foam mattress, and this model is no exception. As with other similar mattresses, this one should be aired out for a bit before your child uses it. It will have a very noticeable odor when you first unpack it. Thankfully, this will dissipate relatively quickly. The cover for this mattress is also really well made. 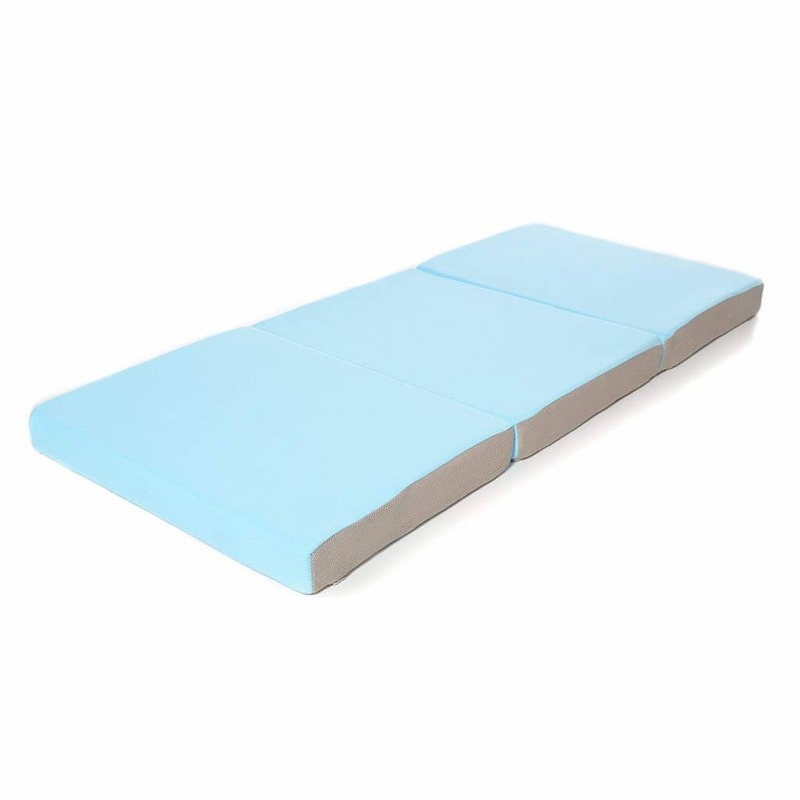 It has a non-slip bottom, which will keep the mattress in place on your child’s bed, even if they are an active sleeper. The cover is also hypoallergenic, which is ideal for use by a child. 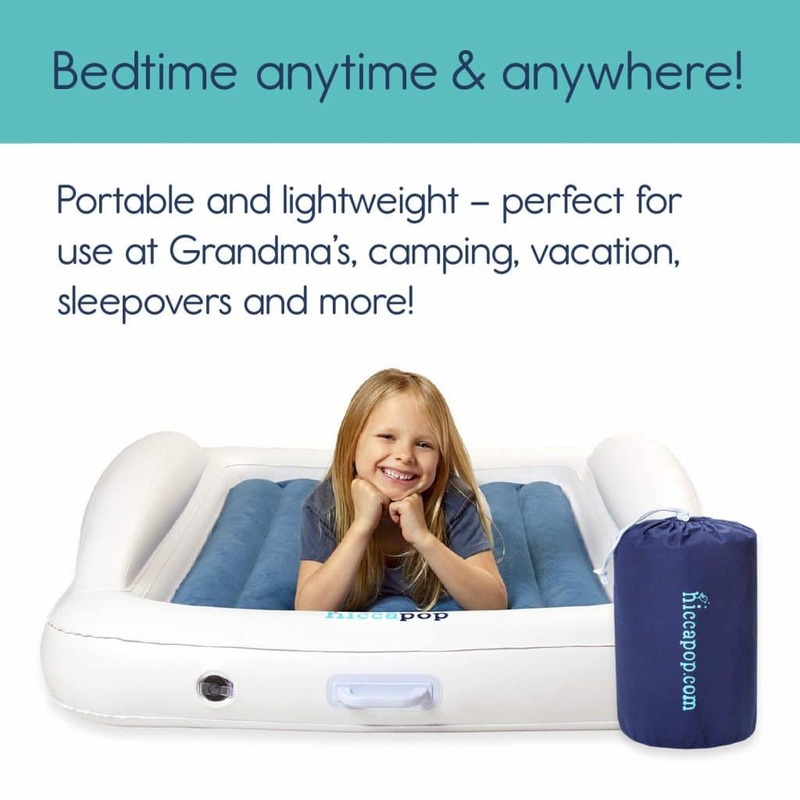 While the previous inflatable model would work well for younger children, this bed would be a great option for pretty much any kid, no matter how old they are. The reason that it would work so well for pretty much anybody is because of its size. It is nice and thick, which allows it to provide plenty of support for anyone, regardless of how much they weight. It is also the same size as a standard twin mattress, which is definitely big enough for even older children. It is not surprising that this mattress is also very easy to take with you wherever you go. It can be completely flattened and rolled up, making it a cinch to store in your car, suitcase, or bag. The fact that it has a built-in pump also helps to cut down on the clutter of bringing a more substantial mattress along with you as you travel. Since you can inflate this mattress in under four minutes, it should come as no surprise that you can adjust the firmness level to your child’s exact needs. Of course, as this is a larger mattress, the edges are a bit softer than the center. While this makes sitting on the mattress difficult, it certainly doesn’t affect its comfort level during the night. You do need to make sure that you refill the bed each night, however, or the firmness level will not be what your kid needs to feel comfortable at night. Let’s face it: buying a mattress can get extremely expensive. The last thing that you want to do is have to spend a ton of money on a mattress for your child at home, and then turn around and do the exact same thing if you want a good mattress for traveling, especially if you have a much younger child in tow. If you are looking for a more budget-friendly option for your smaller kid, then this just might be the right option for you. It is highly portable, both due to its smaller size and thickness, and the fact that it can be folded into thirds. The foldable nature of this mattress helps to make it an excellent option for a family on the go since it will save a ton of space in the back of a packed car. Even though this is a cheaper mattress, that doesn’t mean it isn’t a high-quality product. 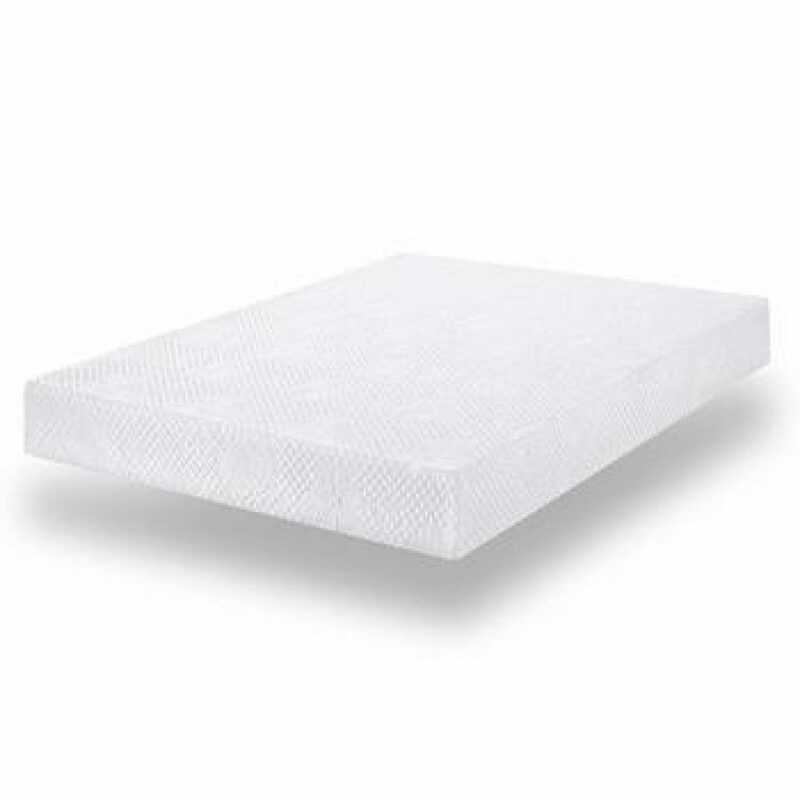 On the contrary, the foam used in the construction of this mattress has been CertiPUR-US certified, so you can rest assured that your little ones won’t be exposed to any harmful chemicals while they are sleeping. Of course, as you would expect with a foam mattress, there is a bit of a smell that will take a few weeks to dissipate fully. Not only is the mattress itself completely chemical free, but the mattress cover is hypoallergenic and easy to wash as well. Since the fibers of the cover are derived from bamboo, they are durable and much safer for your child than a manmade fabric. Twin mattresses are probably the most popular size for use by children, and this just might be the best twin model available today. To start with, it is made out of high-density foam. This foam is so supportive and firm that you barely need very much of it at all. In fact, at only four inches in thickness, this is one of the thinnest mattresses you can find. This makes it a great choice for a smaller space and a higher bed. This is also one of the easiest to maneuver mattresses that you’ll be able to find. After purchase, it comes compressed in heavy packing materials. 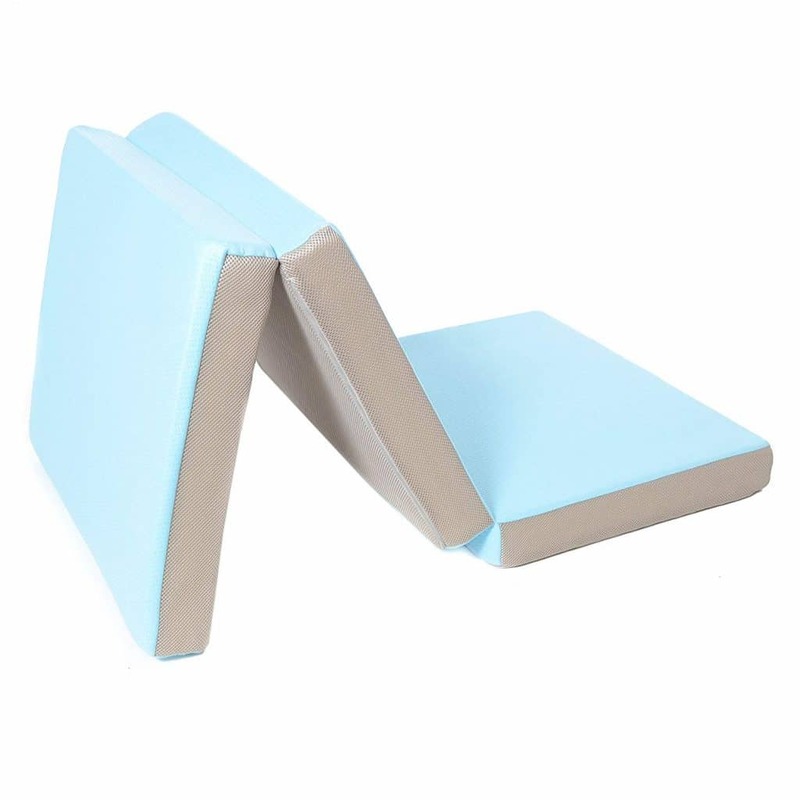 This compressed form is very easy to get into position on your child’s bed, even if you have to carry it up or down a flight of stairs to get to your kid’s room. Even after it has been unrolled this is not a very heavy mattress, so moving it around shouldn’t be too big of an issue. 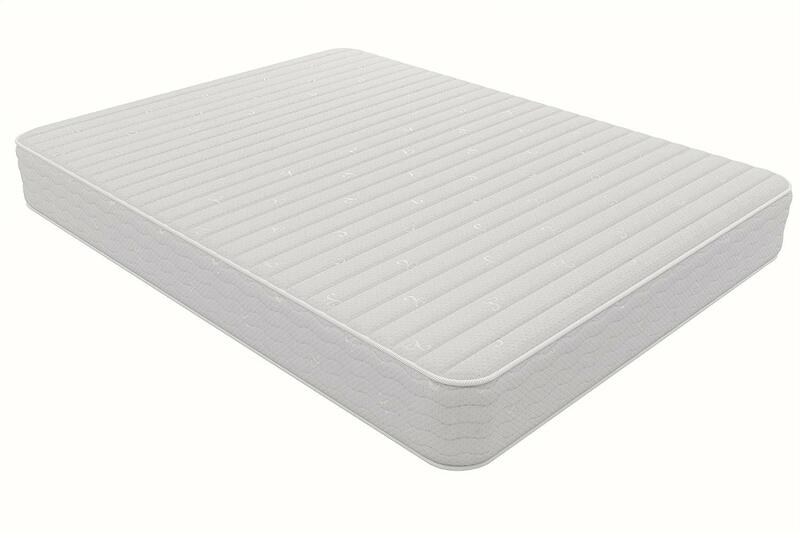 Unlike a whole bunch of foam mattresses, this model doesn’t have a particularly sharp odor when it is first unwrapped. This isn’t all that surprising, of course, since it is CertiPUR-US certified. While the foam is absolutely not a natural material, it doesn’t have any harmful chemicals in its makeup either. One thing to keep in mind with this mattress, however, is that it isn’t very good for heavier individuals. Since it is so thin, it simply doesn’t have the ability to bounce back after use by bigger kids. Its thin design is much better suited for younger, and lighter kids. One of the biggest considerations when you are trying to find the right mattress for a child, especially a young one, is finding a model that works well for their sensitive skin. This can become even more difficult if your kid has any sort of allergies. This mattress, however, is possibly the best hypoallergenic mattress on the market. This is because of the different types of foam that are used in its design. 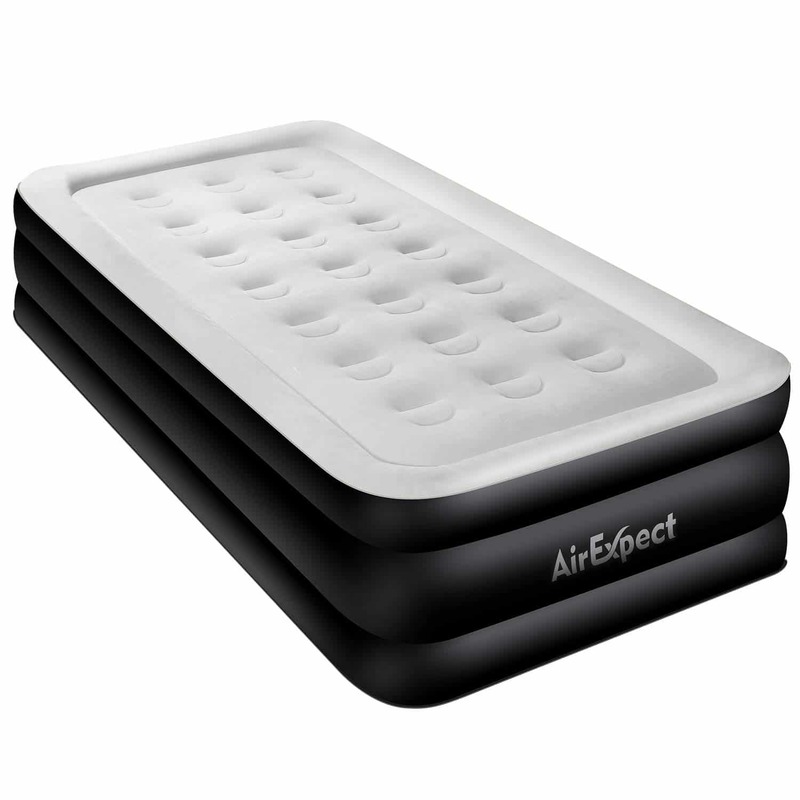 It has memory foam that is infused with bamboo and charcoal, which is essential for clearing out allergens from the mattress. It also has Aloe Vera infused transition foam, which helps to soothe your child’s skin so that they can sleep soundly through the night. This is also a hybrid model, which helps to make it a very durable option. Its coil system provides plenty of support and stability, which only adds to its durability. The product is also backed up by a ten-year warranty, making this a sound investment. This also might be a better option for older children. It is on the softer side, which means that it might not provide the firmness and support level that a smaller kid needs to make sure that their spine is correctly aligned while they are sleeping. This softer design is especially noticeable at the edges, which are quite plush. If you are looking for a mattress for an older child or you have a very active sleeper on your hands, then a twin mattress probably isn’t going to be large enough. In that case, it is probably better to go with a full-sized mattress, which will provide more room for your kid to stretch out and get comfortable, and this is a wonderful option if that is the case. To start off with, this mattress is CertiPUR-US, and OEKO-TEX certified, so even though it does have a sharp odor at first, you can rest assured that it is perfectly safe for your child to sleep on. 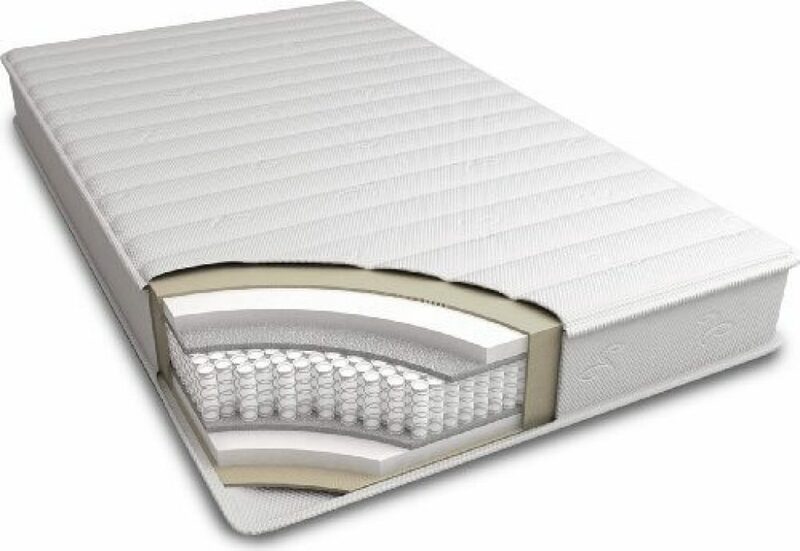 In fact, this Olee Sleep product is among those not many that received a dual certification, which is a testament to its quality of design and the materials used to manufacture it. 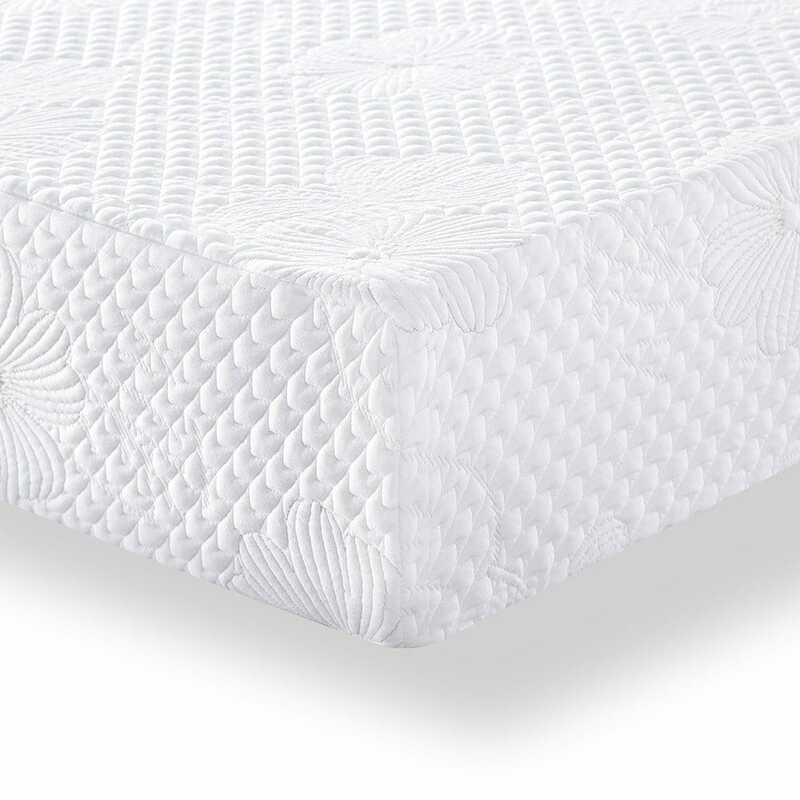 Even though this is a larger style mattress, it is still very breathable, thanks to its layer of convoluted foam. This layer allows plenty of air to pass through the mattress, which in turn, helps to keep it feeling nice and cool all night long. The cover that comes with this model is also very well made. It is made out of polyester jacquard, which means that it is very easy to keep clean. Most of the time, you can usually get by with spot cleaning it if something gets spilled on it, but it can also be washed in the washing machine. In this section, we will go through everything that you need to know to find the best mattress for your kid. We have also taken the time to answer some frequently asked questions, so be sure to check those out if you still have any questions after reading through our guide. How to choose the right mattress size for your kid? When it comes to choosing the right size of the mattress for your child, there are two big factors that you need to take into account, which are the thickness and size of mattress that you will need. Both of them, of course, are going to be dependent on the size of your child, their sleeping preferences, and the amount of space that you have to fit their new mattress in their room. 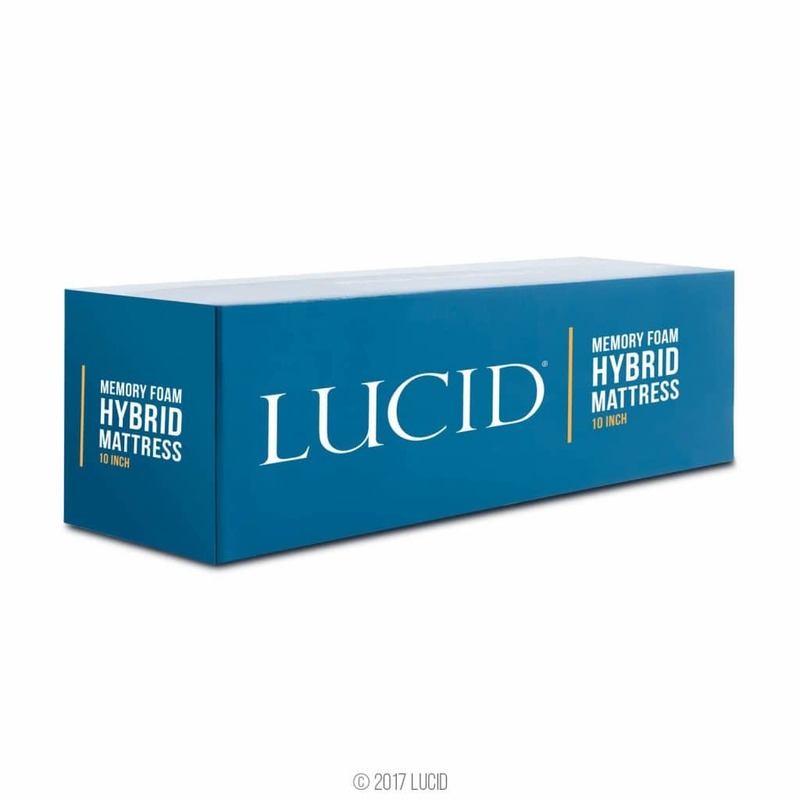 Larger children are usually going to require a larger mattress, so if you are shopping for an older child, you will probably want to get a mattress that is a bit thicker, like the LUCID 10 Inch Twin Hybrid Mattress. That way, the mattress won’t break down too quickly under heavier usage. If you have a smaller child, then you could probably go for something like the Milliard Toddler Tri Folding Mattress, since their smaller weight shouldn’t flatten the mattress too much. Also, it’s an excellent choice in case you intend to take your child’s bed with you on trips from time to time. As far as the actual size of the mattress, you can either choose from a twin mattress, which is just big enough for one person, or a full-sized mattress, which has enough space for two people but isn’t as long as a queen model. Older children and more active sleepers would probably be more comfortable on a full mattress. Of course, if your child has a smaller room, then you might need to stick to a twin since they don’t take up as much room. As you can imagine, there are lots of different factors that you need to take into account when you are looking for a good bed. 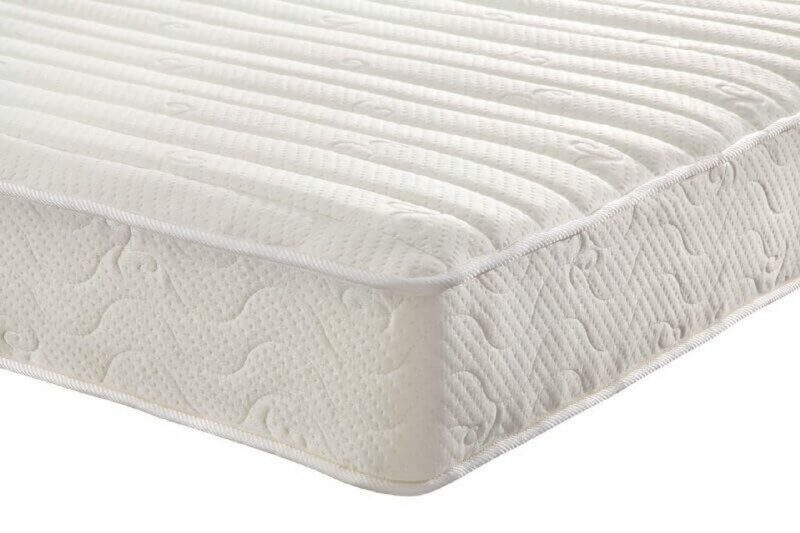 In this section, we will go through every single detail you need to know to make sure you are getting the highest quality mattress for your child. The thickness of a mattress that you purchase is going to be the biggest determining factor when it comes to the durability and level of support the mattress can offer. For instance, if you decide to go with a slimmer mattress, it will not be as supportive as a much thicker model. Thinner mattresses will not often have as much of a “bounce-back” factor either, which means that they break down much faster than a thicker model. Of course, by purchasing a thin mattress, you will be able to save a bit of money up front, since these types of bed don’t usually cost very much in comparison to a thick one. 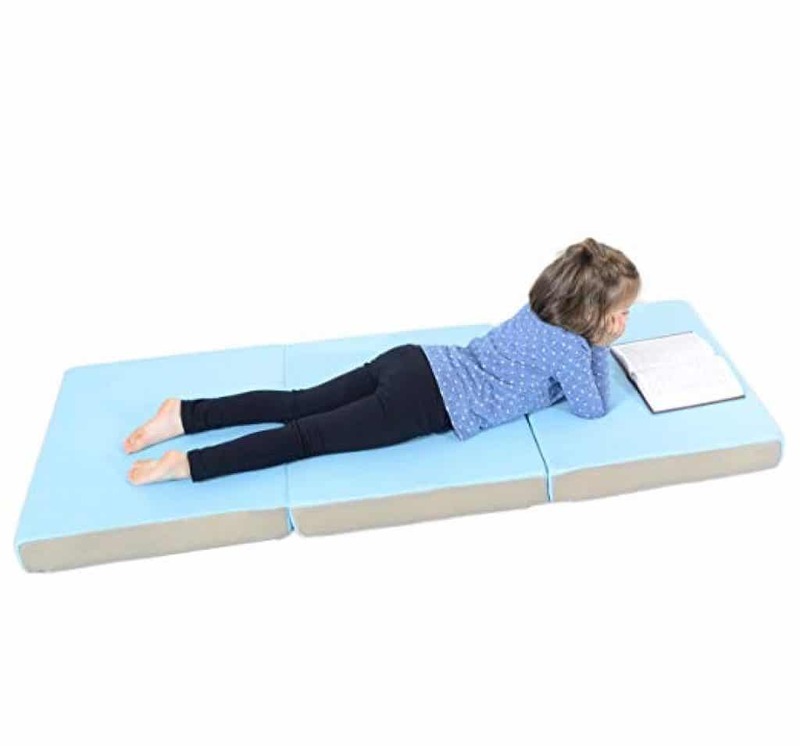 A thin mattress might make a lot of sense in this instance, especially if you are just looking for a good one for traveling, like the Milliard Toddler Tri Folding Mattress, which wouldn’t be used every night. There are several different choices that you can pick from when it comes to material. It will help to determine the amount of durability and the comfort level of the mattress in question. If you are looking for an extremely comfortable mattress for your child, then you will want to go with some kind of foam model. This type of mattress conforms to a person’s body and provides plenty of support, even if you don’t use a box spring. Some foam mattresses can be an issue for kids with allergies, however. If that is the case for your little one, then you will want to be certain to look for the best mattress for kids with allergies. If that is the case for you, you can’t go wrong with bamboo-derived foams, like those that are used to make the LUCID 10 Inch Twin Hybrid Mattress. Of course, there are other materials that you can choose from as well. 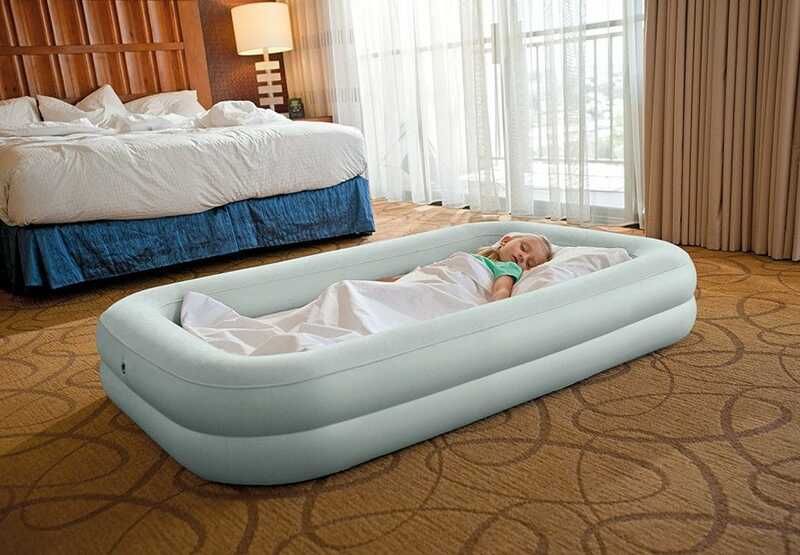 Some mattresses for kids, especially those used for traveling, might also be made out of vinyl or PVC, like the hiccapop Inflatable Toddler Travel Bed. These types of beds are lightweight and waterproof, making them perfect for younger kids. Depending on the type of sleeper your kid is and how much support they need while they sleep, you will need to be sure to select the right type of mattress. 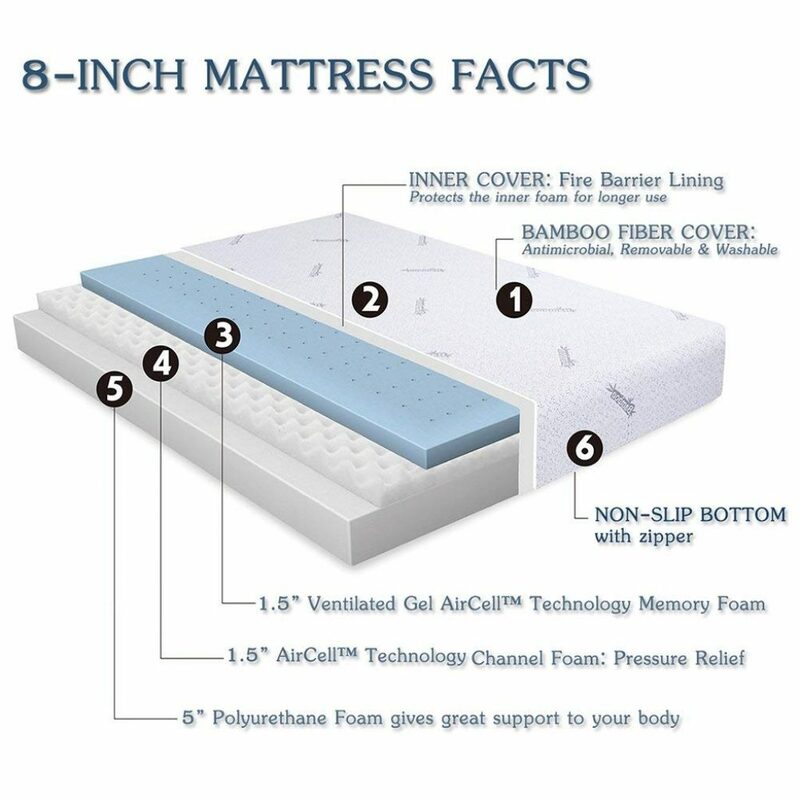 You can choose from either foam, memory foam, latex foam, innerspring, inflatable, or a hybrid mattress. Each of these different types will offer a different level of support and durability. Foam – Foam mattresses are made out of synthetic foam that is usually on the softer side. They are usually relatively cheap, though they are not very durable or long lasting when compared to other types. They also tend to be a bit warm, which makes them great for cold sleepers. 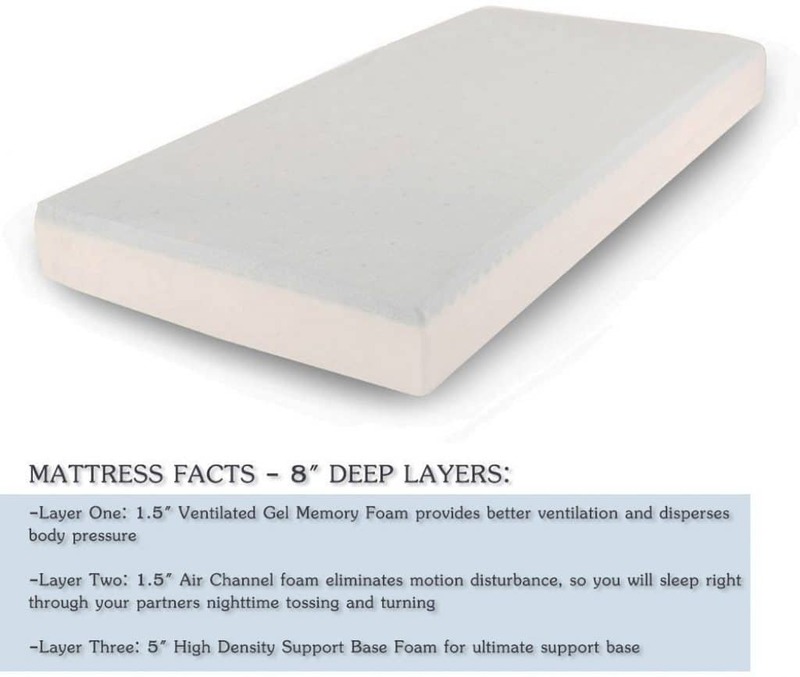 Memory foam – Memory foam is an extra supportive type of foam that can be a variety of firmness levels based on how many layers there are in the mattress. 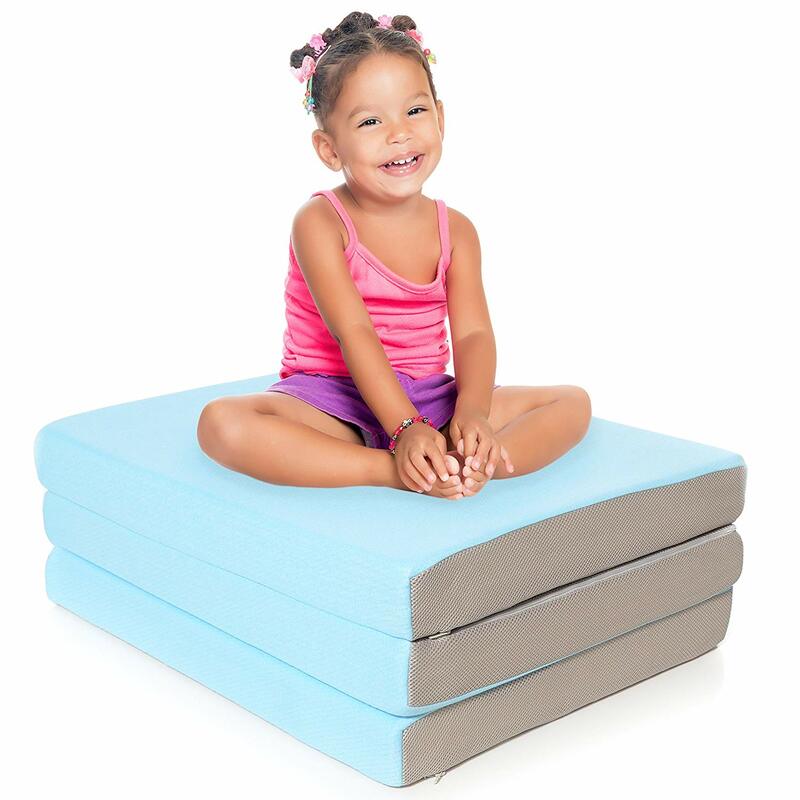 This type of foam will conform to your kids’ body, which makes it very supportive. They are also usually very long lasting and durable, though you do need to be sure to rotate them often. These are also usually the most expensive kind of mattress. 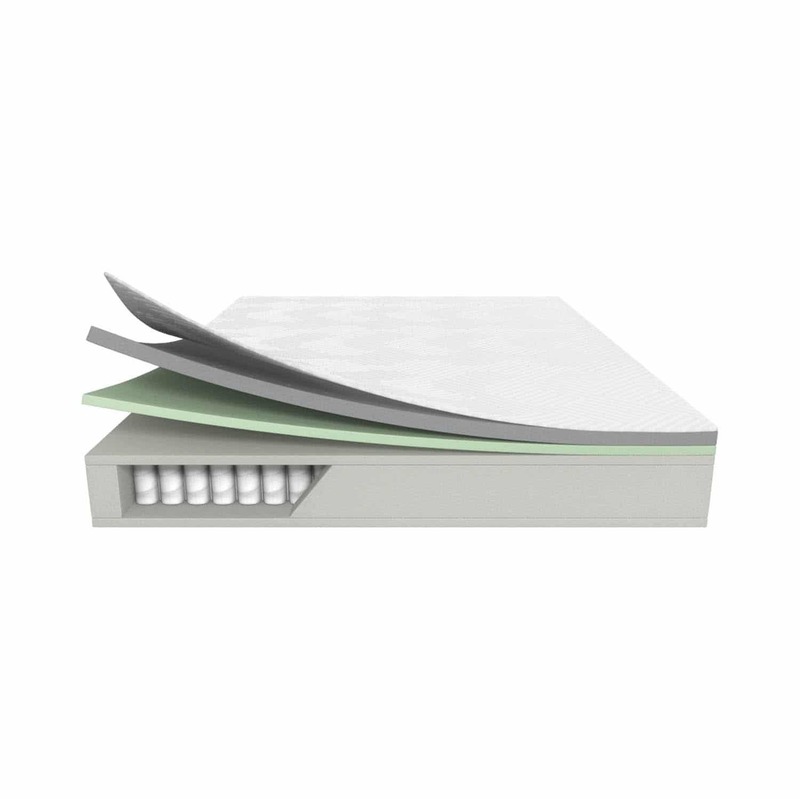 Latex foam – Latex foam mattresses are some of the most durable mattresses on the market. They are made out of natural materials, which helps to make them hypoallergenic. While they are not as supportive as memory foam mattresses, they can still provide a good night’s sleep, especially since they are highly breathable. Innerspring – Innerspring mattresses are another budget-friendly option. They use an internal spring system to provide the support you need while you sleep. Of course, they also break down the fastest, so keep that in mind before you buy one. Inflatable – As you would guess from the name, this type of mattress can be filled with air when your little one is ready for a nap or bed. These mattresses are very lightweight, easy to move, and easy to pack away when they are not in use. They are not terribly comfortable, however, so inflatable mattresses wouldn’t be suitable for use over a long period of time. Hybrid – Hybrid mattresses are actually a combination of different mattress types to try and provide the best aspects of each without any of the disadvantages. They are usually highly durable and breathable and have an innerspring system covered with memory or latex foam. This type of mattress also tends to be the most expensive. The firmness level that your child needs are going to be highly dependent on the age of your child. 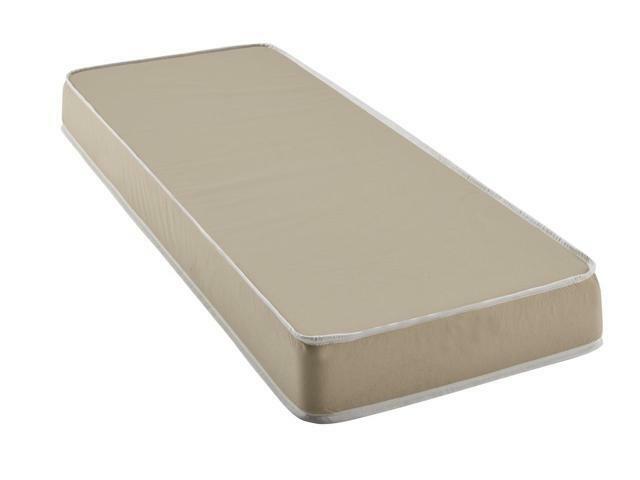 While older kids might like the feel of a plusher mattress, younger children will usually need a firmer mattress, like the Fortnight Bedding 4-inch Foam Mattress, as this helps to keep them from startling themselves awake in the middle of the night. Firmer mattresses also make it much easier for a child to switch positions, which will also help them to stay asleep better. Another key reason that you will probably want to focus on selecting a firmer mattress for a younger child is that it will save you money. Firmer mattresses are usually much cheaper than softer plush ones. Plus, smaller children are not heavy enough to compress the layers of even the softest mattress, so it will feel the same to them as a firmer mattress. 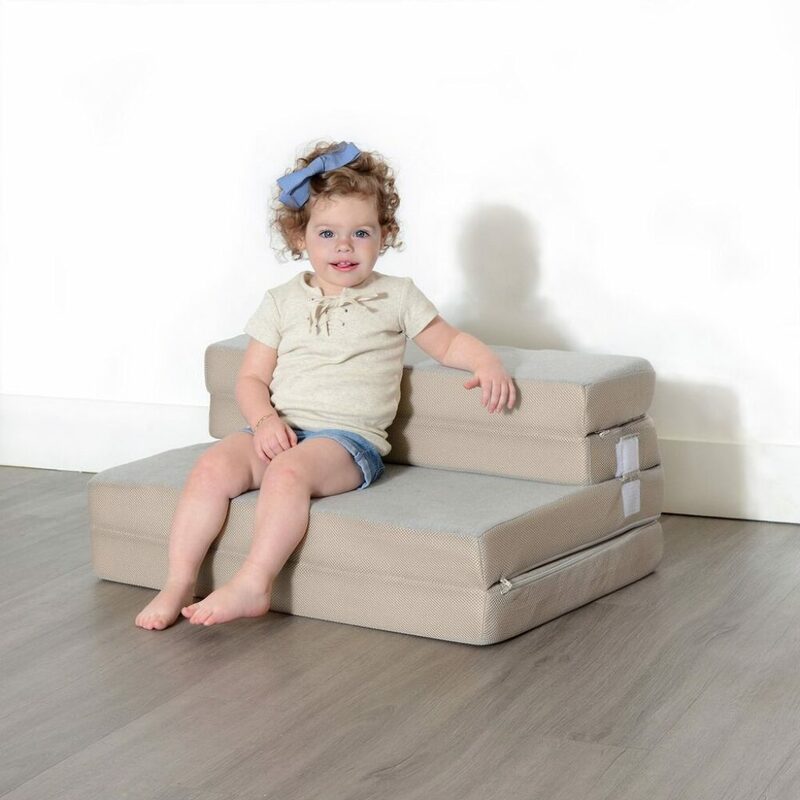 Stiffer mattresses will also provide the right amount of spinal support your child needs for proper development. The material that you select for the covering on your child’s bed should meet several different criteria. First of all, it should be extremely durable. The last thing that you want to have to do is buy a new one because it couldn’t stand up to your kid rolling around in it. The cover should also be nice and breathable since that will allow your child to sleep much more comfortably. Finally, you might want to look for a cover that is hypoallergenic. Hypoallergenic covers, like the one that comes with the Comfort & Relax Memory Foam Mattress, will help to make sure your child’s sensitive skin doesn’t have any sort of reaction while they are sleeping. There are many different certifications out there that a mattress can receive. This can include a CertiPUR-US, OEKO-TEX, or others. Basically, if a mattress receives these qualifications, it just means that they are manufactured in such a way that they are completely safe for a person, or child, to sleep on. 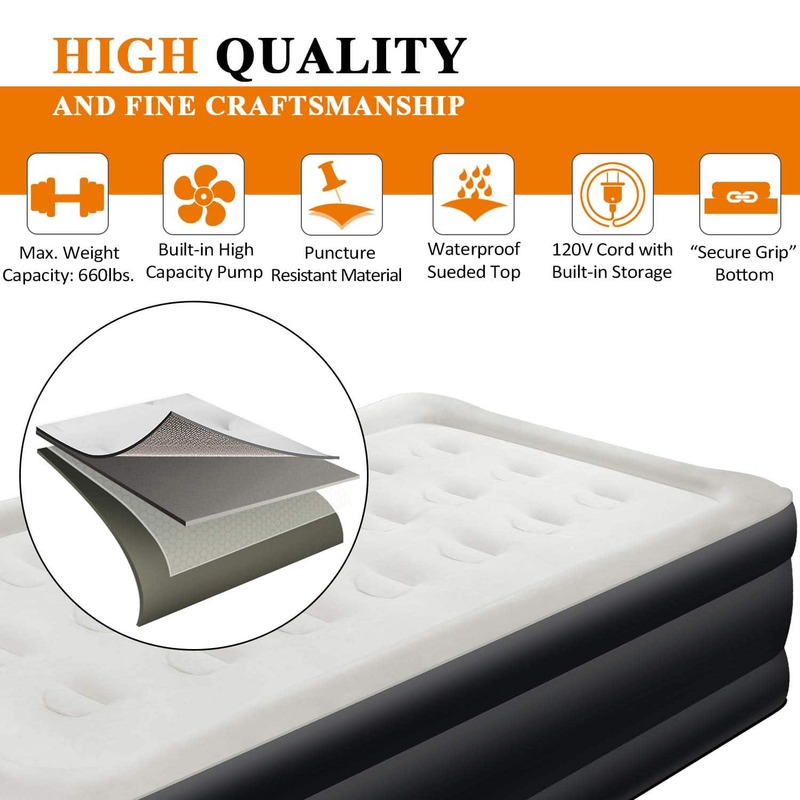 It means that the foam within the mattress has been tested and found to contain no harmful chemicals and that the mattress was made in such a way that wasn’t bad for the environment. If you buy a mattress that has received one or many different certifications, you can rest assured that it will be safe for your little one. Anytime you are making a large purchase; you always should look for a product that comes with a warranty. Buying a mattress for your child is no different. You want to make sure that you can protect your investment if you find that it doesn’t work out for you, or if the mattress gets damaged. Of course, you need to make sure that you read through the warranty very carefully. Lots of companies will claim that they offer a very long warranty, but will only cover very specific types of damage or problems. The last thing you want to do is buy a product that claims a great warranty only to find that a problem isn’t covered after the fact. One of the best features to keep an eye out for when you are mattress shopping is a textured bottom. Children move around a lot when they sleep, which could cause the mattress to move around as well. With a textured bottom, you can cut down on the chances of your child making the mattress move all over the place, which could keep them from falling off of their bed. Something else to keep in mind while you are shopping is to look for a mattress that is reversible, as the Signature Sleep 5426096 Contour Encased Mattress. If you do get a reversible mattress, you will be able to extend the life of it significantly by flipping it over every once in a while. Make sure to keep the mattress adequately supported with a box spring or foundation. Use a mattress cover or protector. Regularly wash your children’s sheets. Don’t allow pets to sleep with your child. Rotate and flip the mattress at least once a month, if the manufacturer allows for this. Don’t allow your children to jump on the bed. Clean according to the manufacturer’s directions. What are the advantages of hybrid models? 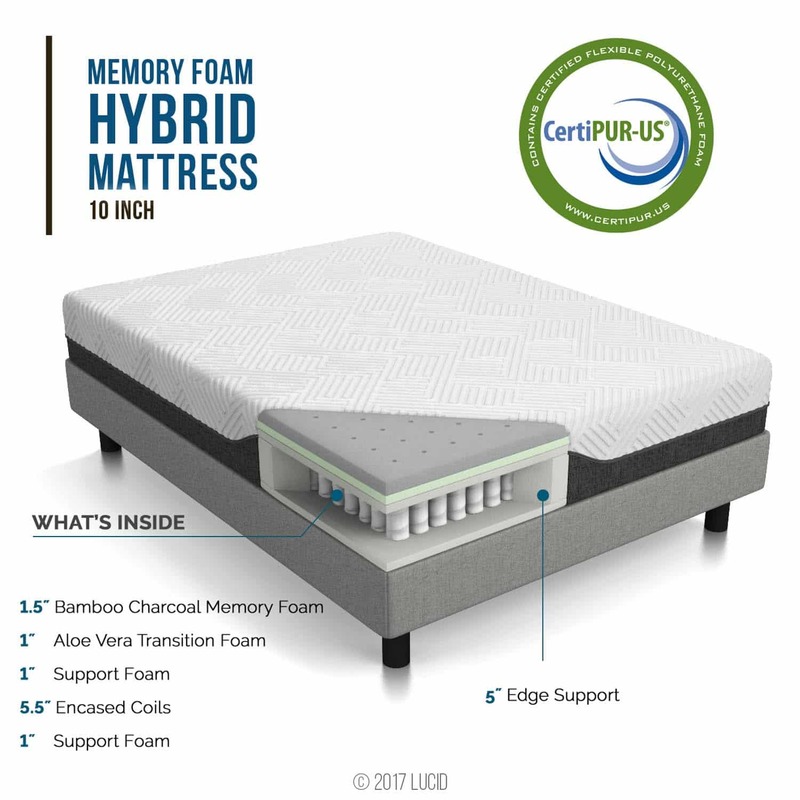 Hybrid mattresses, like the Signature Sleep 5426096 Contour Encased Mattress, offer several different advantages over traditional or single support mattresses. First of all, they are highly durable. Secondly, they are incredibly supportive. Finally, these mattresses only use the best materials and are therefore usually CertiPUR-US certified. These factors help to make these mattresses not only comfortable to sleep on but safe for children as well. Which firmness level is the best for the proper spine alignment? With younger children, the firmer the mattress, the better off you are going to be. Firmer mattresses allow your child’s spine to have the proper amount of support while they sleep so that they can wake up feeling rested. 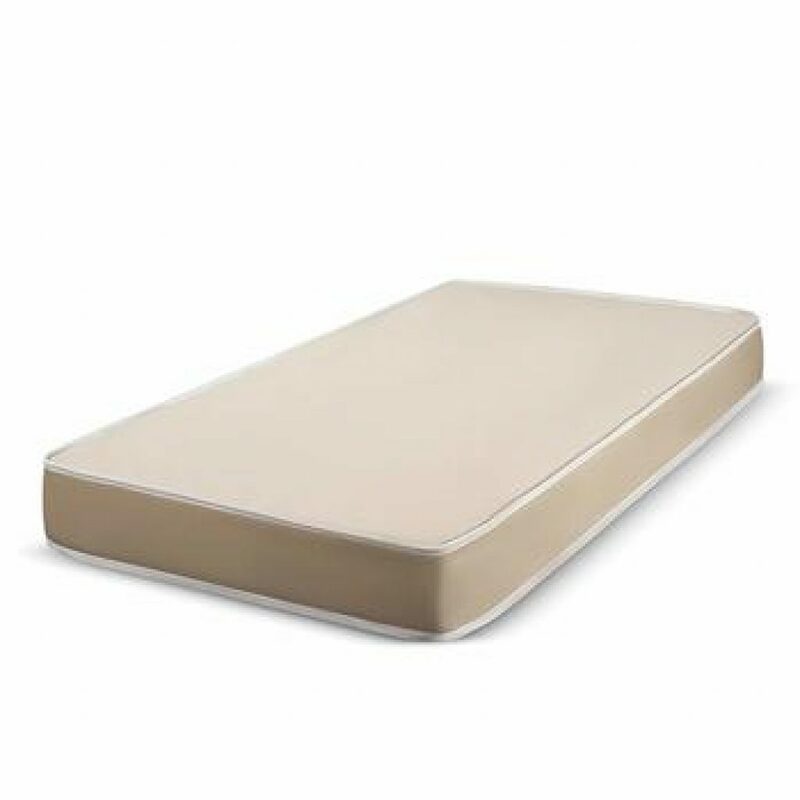 The Comfort & Relax Memory Foam Mattress has a built-in air channel, which helps it to keep sleepers nice and comfortable, even in hot weather. 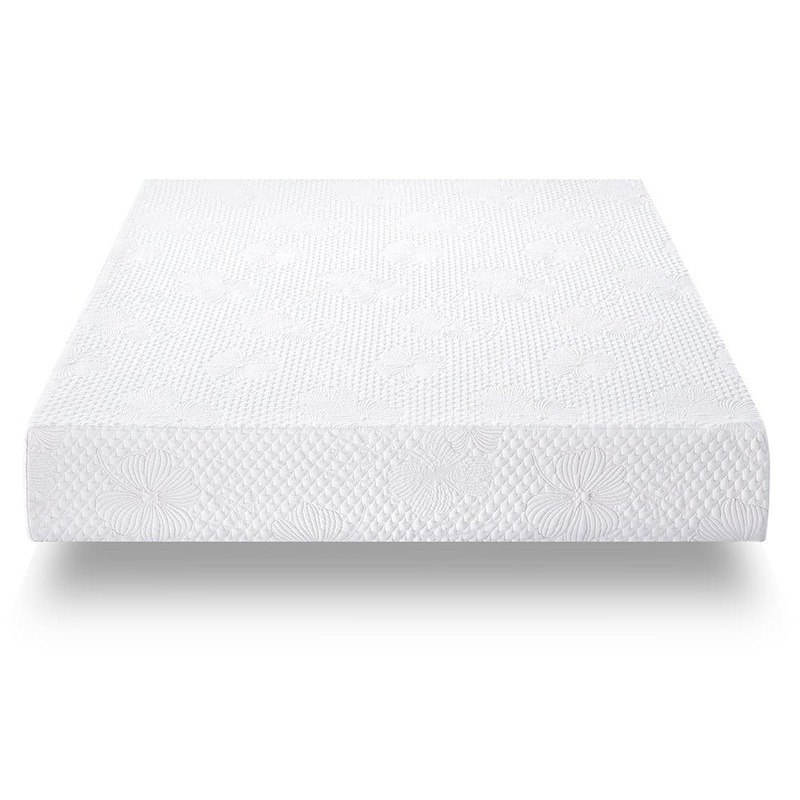 Overall, the best mattress for kids has got to be the Signature Sleep 5426096 Contour Encased Mattress. It is a hybrid mattress, which makes it durable, supportive, and comfortable for any age child. It is also completely reversible, which will allow it to last a much longer time than any other mattress that we looked into, and we highly recommend that you check it out. Traveling with a young child can be difficult with having to drag along a heavy bed for them. 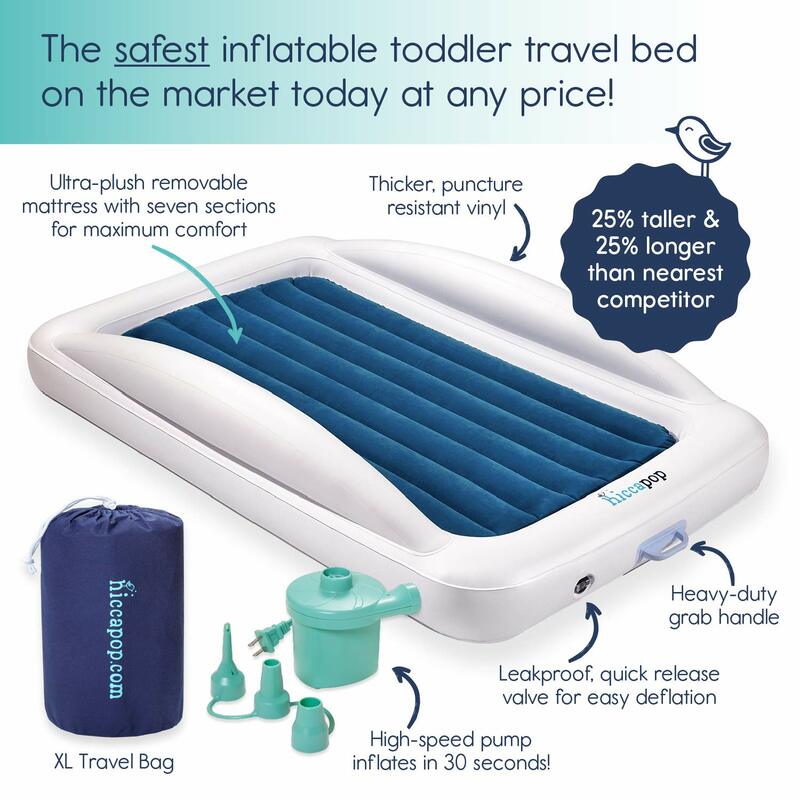 The hiccapop Inflatable Toddler Travel Bed helps to make it much easier. It is fully inflatable and collapsible, adding to its portability. This bed can also be filled to any firmness level, which makes finding the right level of support for your child very easy. If you are in search of a perfect memory foam mattress which also sleeps cool at night, take a look at the Comfort & Relax Memory Foam Mattress. 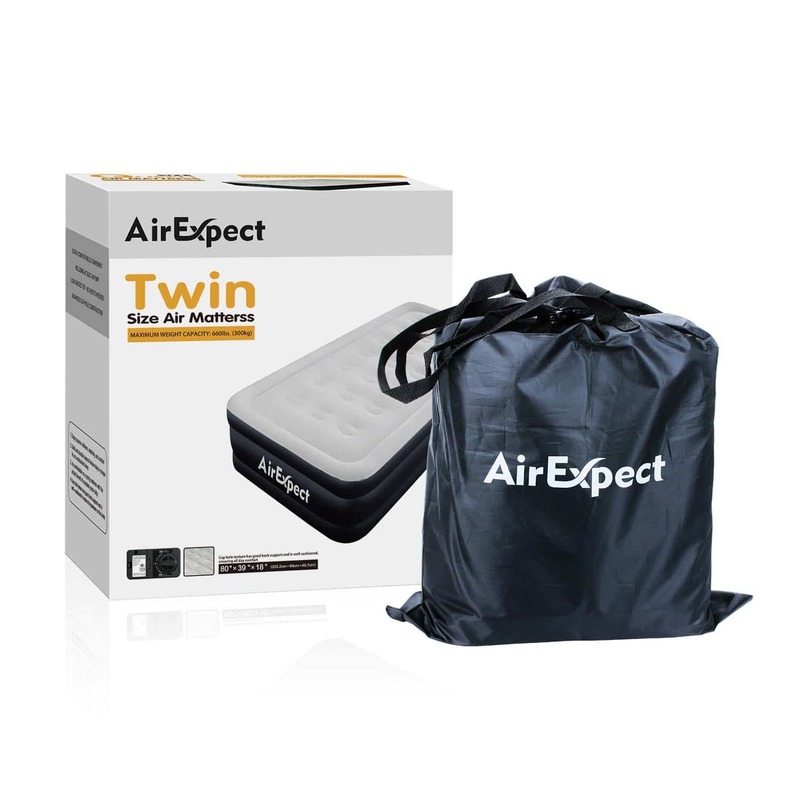 It’s a twin-sized mattress made of high-quality foams with a built-in air channel for proper air circulation. Backed by an incredible 20-year limited warranty this mattress is built to last and serve well even when your kid turns into a teenager and an adult later on.